"When your protypes require not just the right equipment, but experts in fabricaion ingenuity." 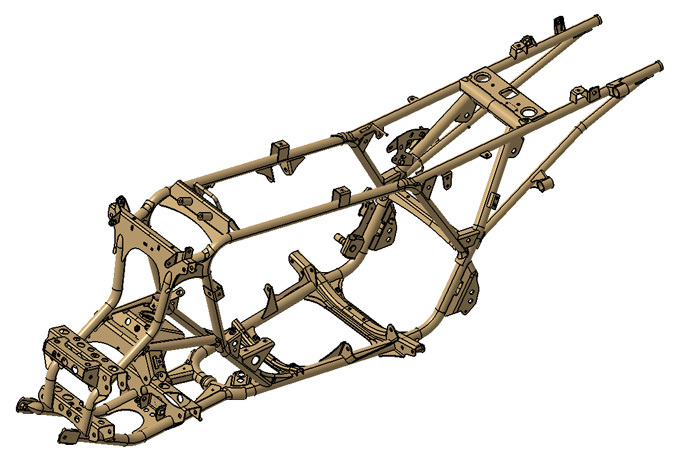 Objective: Prototype production and assembly of all-terrain vehicle frame. For the frame, mild steel pipe stock was cut and bent in-house. All other mild steel components, excluding hardware, were produced with minimal tooling, primarily utilizing press brakes and lasers. Assembly was performed on a custom fixture via manual MIG welding. Dimensional quality assurance was achieved using our FARO 3D laser scanner. With expertise in an array of manual processes and with a diverse equipment lineup, Hidaka USA, Inc. is uniquely qualified to produce in a prototype capacity, so that our customer's tooling investment is minimized, while part accuracy and on-time delivery are still achieved.